Packaging Knives need to be created the right way to have the precision that is needed for the packing industry. 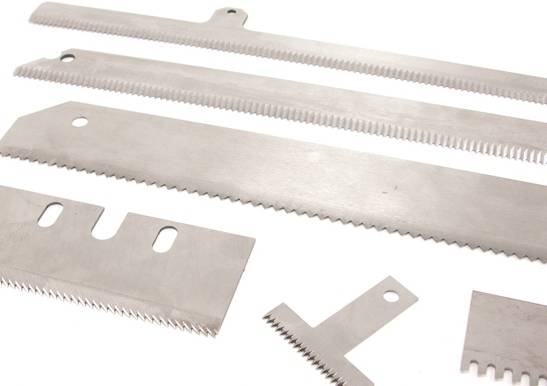 Our team has the knowledge and expertise to meet the special requirements needed to create quality packing knives. Our company offers custom manufacturing for knife replacements and special orders. To help our clients we manufacture to customer prints or we can reverse engineer from a sample. We also offer state-of-the-art knife sharpening services that maintain the integrity of your knife, but allow you to make the cuts that you need.